Sir James Douglas was known as The Good Sir James in Scotland – but in England they called him The Black Douglas. 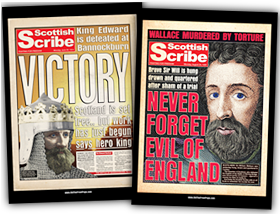 His guerilla tactics and battlefield generalship were an important factor in the War of Independence led by Robert the Bruce, and his later successes led to the rise of the Douglas family, who still exert influence over the nation today. 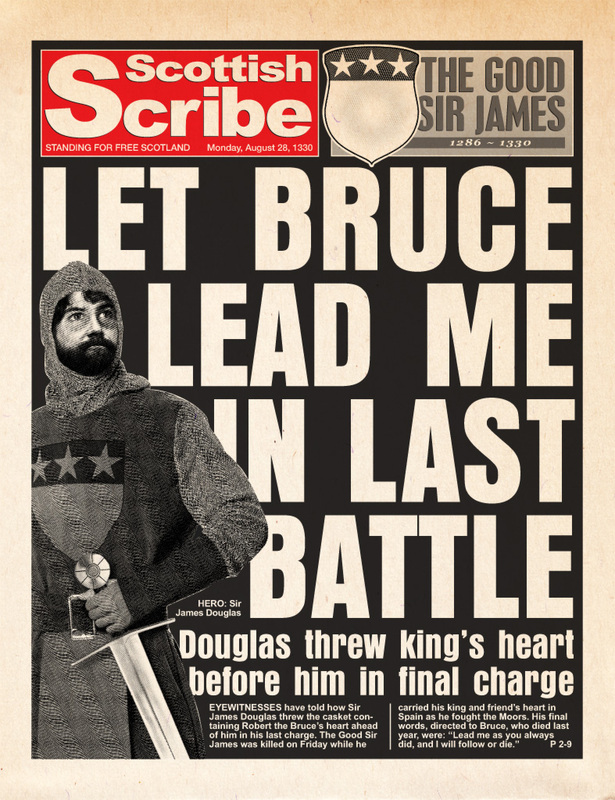 When the Bruce died in 1329 he charged his faithful Lieutenant of the Realm to take his heart on Crusade. The organ was sealed in a casket and Douglas carried it with him in action against the Moors in Spain – until the Battle of Teba, where he threw it ahead of him in a symbolic gesture as he galloped to his death. Douglas is buried in St Bride’s Kirk, Douglas. Bruce is buried in Dunfermline Abbey but had asked for his heart to be interred at Melrose Abbey. The casket was found there in 1920 and reburied on a site marked with a commemorative stone in 1998.